George Petrie started in radio drama during the golden age of radio. he appeared in the horror radio program, Murder at Midnight. George O. Petrie (November 16, 1912 – November 16, 1997) was an American radio and television actor. 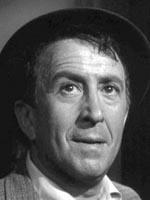 Petrie started in radio drama, including playing the title roles in Charlie Wild, Private Detective and in The Adventures of the Falcon. He played Bill Grant in Call the Police and appeared on programs such as the syndicated horror program "Murder at Midnight" in 1947. Petrie's film credits include At Sword's Point (1952), Baby Boom (1987), and Planes, Trains and Automobiles (1987). On The Honeymooners, he had recurring character roles throughout the series. He appeared on the popular prime time soap opera Dallas and the 1996 Sequel Dallas: J.R. Returns, in the recurring role of attorney Harv Smithfield. Other television credits include: Rawhide, 77 Sunset Strip, The Twilight Zone, Leave It to Beaver, The Andy Griffith Show, Perry Mason, Dr. Kildare, Bonanza, The Addams Family, The Munsters, The Wild Wild West, Hawaii Five-O, Little House on the Prairie, Ironside,The Edge of Night, Combat!, Maude, Gunsmoke, The Paper Chase, Three's Company, Cagney and Lacey, Dynasty, Quincy, M.E., Knight Rider, St. Elsewhere, Wiseguy, Night Court, Gomer Pyle USMC, Mad About You and L.A. Law.